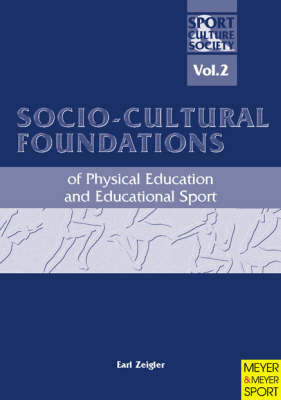 This text is designed to help the reader develop an understanding of the socio-cultural foundations of developmental physical activity as they relate to the developing profession of physical education and educational sport. These "foundations" all lead in the direction of developing a better understanding of "life and living". Such understanding should be of the past as well as the present. Additionally, it should continue on as we peer into an unknown future. The place of physical education and educational sport, art and music in the curriculum is once again being questioned. There will undoubtedly have to be a continued struggle to explain that a sound programme of developmental physical activity in exercise, sport, and related expressive movement for normal, accelerated, and special populations of all ages should be included in life planning and programme execution for all people. The author is absolutely convinced that (1) the quality of life can be enhanced in this way, and (2) that regular exercise can indeed help us to live longer.